Our team of researchers and analysts explored defining characteristics of high-performing and low-performing schools in the Technology & Learning module. The results of our research show what enables successful 21st century learning environments, and more importantly, how high-performing schools with challenging characteristics are defying the odds. 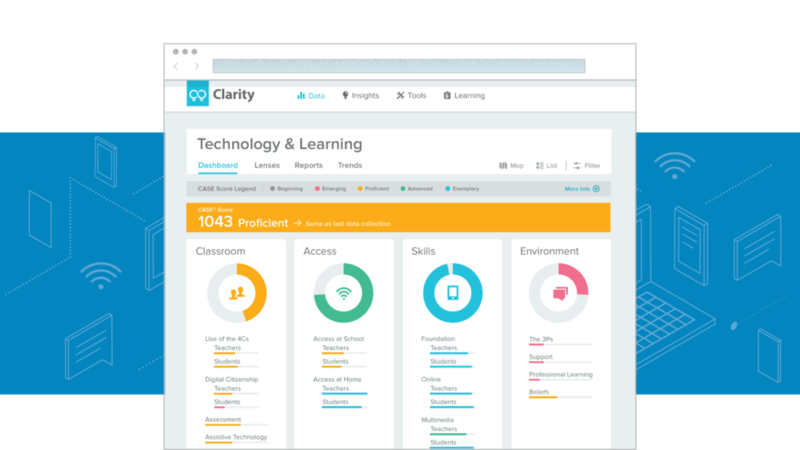 The BrightBytes Clarity platform analyzes complex education data and organizes results in an engaging and actionable way. 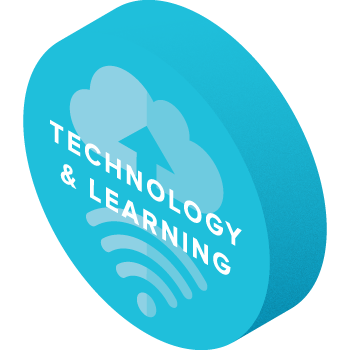 The Technology & Learning module captures data and aligns results across CASE, a research-based framework that informs the data analytics used to measure the climate of technology across the domains of Classroom, Access, Skills, and Environment. Both Overall CASE Score and the 4Cs success indicator are not hindered by school diversity. Our finding that diversity was not significantly different between the schools in the top and bottom 5% across all factors (with the exception of Access) aligns to new research that shows high levels of diversity are more likely to have long-term positive benefits for students, rather than pose challenges. Schools should embrace diversity so students can be better prepared to live, work, and thrive in a global economy. Educators can support this effort by providing real-world experiences to students via technology integration, such as networking with other students, collaborating online, and learning about cultural experiences from around the world. Higher FRL will hinder success across all areas, except Professional Learning. We know that schools with high FRL also have very low Access at Home scores, which indicates the obvious, social-equity differences still play a role in access. 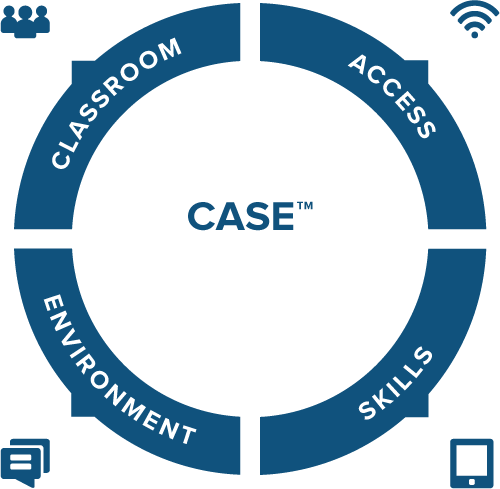 In order to close the access gap, it is essential for leaders in settings with high FRL to scrutinize and examine the policies in place, and better implement programs that allow students to take school-owned devices home. Professional Learning is the only category in which FRL is not statistically significant between the top and bottom 5%. This suggests that teachers have taken the opportunity to drive their own professional development regardless of their school’s FRL population. Leaders can explore the strengths and gaps of their team and capture teacher feedback and input into training needs and PD. For all educators, this focus on continuously strengthening skills will have positive downstream effects on classroom practice and beliefs about using technology for learning. While the FRL population of schools is not a barrier for PD, our findings demonstrate that teachers still need leadership support around implementing technology. The 3Ps and Beliefs scores indicate a relationship between student populations’ average socioeconomic status and the administration’s ability to create effective policies, practices, and procedures, and influence positive beliefs at school. PD cannot be translated into practice without strong leadership to provide the necessary policies, procedures, and practices to support the use and application of technology. This is an area where it’s important to note that leadership decisions have a powerful impact on students, teachers, and their collective success. If teachers perceive leadership as unsupportive, it has a negative effect on their desire to use technology in the classroom. The disproportionate representation of suburban schools in the bottom 5% of Access at School may indicate that having more students in an individual school makes it more difficult to put a device in every student’s hands. Conversely, the high representation of students in less-dense rural settings indicates that students who encounter less competition for accessing technology at their school have higher Access at School scores. Leaders across suburban schools can ensure better access at school by allowing students from suburban settings (a setting with high Access at Home scores) to bring personal devices from home to school. School setting distribution is a factor for Access. Across Access at Home, the top 5% schools are largely suburban. However, the bottom 5% schools are skewed towards town and city settings, with disproportionately fewer suburban schools. The Access data also demonstrated a significant gap in average FRL rate between the top and bottom schools, and one might be able to infer that there is more poverty concentrated in cities and towns. This connection implies that these students may have less access to devices at home. Educators in city settings can shift policies to allow students to bring home devices, or ensure that students have access to technology after school by providing extended computer lab hours or neighborhood hotspots in places like school parking lots or school buses. By empowering school administrators with data about their students and teachers, they are better equipped to make decisions that are meaningful, impactful, and necessary to support innovation and change in their schools. Using data to cultivate a shared understanding among teachers, students, parents, and administrators is the most positive outcome one can imagine, especially when that data is insightful, relevant, and actionable. Build effective 21st century classrooms with insight into critical data in the BrightBytes Technology & Learning module.